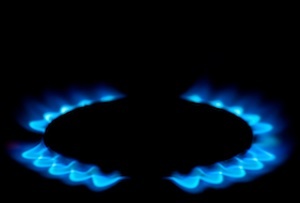 The energy supplier has been taken to task by Ofgem for the way it treats its customers. Scottish Power will be banned from targeting new customers if it doesn't address serious concerns about its customer service, the energy regulator Ofgem has said. The news comes in a quiet period for the much-maligned energy industry, which faces the prospect of a price cap if Ed Miliband comes to power next May. If the energy giant does not speed up the resolution of complaints by the end of November, more than halve its backlog of 75,000 overdue bills by the end of December, and drastically reduce call waiting times by the end of January, it will be forced to stop telesales and similar promotional activities. A quarter of customers currently abandon phone calls after being stuck on hold for too long, according to the Telegraph. 'ScottishPower’s customers are experiencing unacceptably long call waiting times and a drastic drop in overall customer satisfaction,' said Sarah Harrison, senior partner in charge of enforcement at Ofgem. Ofgem is clearly keen to show its teeth to the market and Harrison added that the decision to intervene was further evidence that the energy companies need to change. 'This is a clear signal to suppliers to up their game and give consumers the service they are entitled to,' she said. 'I would like to apologise unreservedly to any customer who has not received the level of service that they deserve from Scottish Power in recent months and provide my personal assurance that we will do what we can to correct every problem, pay appropriate compensation and ensure that no customer is disadvantaged,' said Scottish Power’s head of retail, Neil Clitheroe. Just when energy companies thought their PR headaches had calmed down, Ofgem sends a customer service louse crawling out of the woodwork to bite them again.